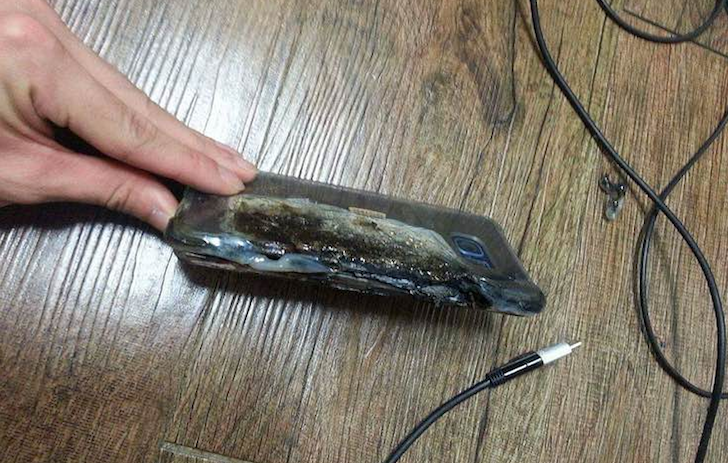 We've been seeing reports of Galaxy Note7 devices exploding while being charged, but that regularly happens with so many different models and brands, especially due to faulty chargers, that we didn't pay much attention to it. However, it seems that the story is different and really serious this time. A Samsung official speaking to Yonhap said the company estimates that less than 0.1% of Galaxy Note7 devices sold were affected and that the root of the problem was traced back to the battery. But at several millions sold, even this small a percentage can be a hazardous risk and one Samsung is not ready to gamble with. Since the Note7 doesn't have a removable battery, the official says that the company is about to issue a recall of all its new Galaxy Note7 devices sold at home and abroad. The announcement should happen within a week, while Samsung irons out the kinks of making a recall with its dealers like Verizon in the U.S. The results of Samsung's investigation into the matter should be made public (good on them!) this weekend or early next week though, along with countermeasures to avoid them from happening to your device. This is definitely an unprecedented issue in our mobile industry, especially at the level and scope that Samsung operates at. It might be a severe hit to the Note7's sales, but if anyone can take it, it's this South Korean giant. I'm positive a little doubling down on marketing, some good freebies to affected customers, and a lot of transparency regarding the issue will go a long way to make sure everyone is satisfied.